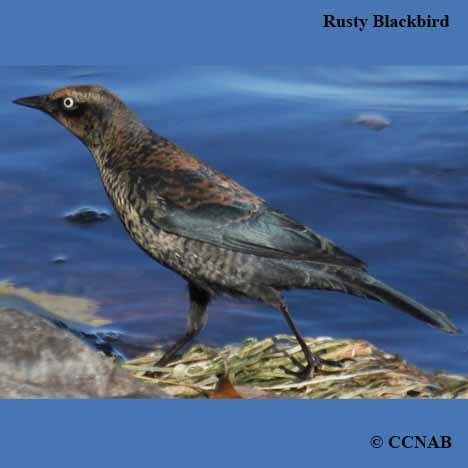 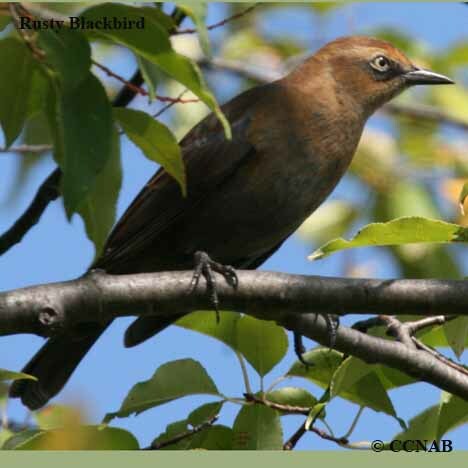 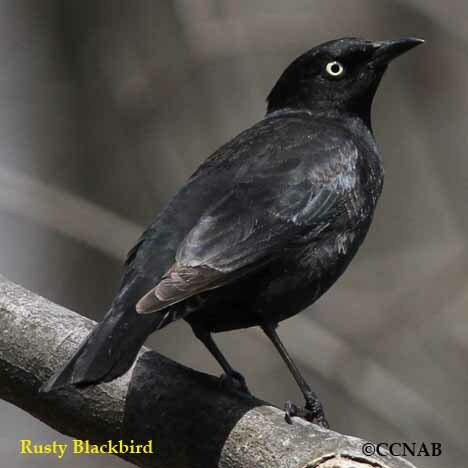 The Rusty Blackbird has an appearance between a Common Grackle and a Brewer's Blackbird. 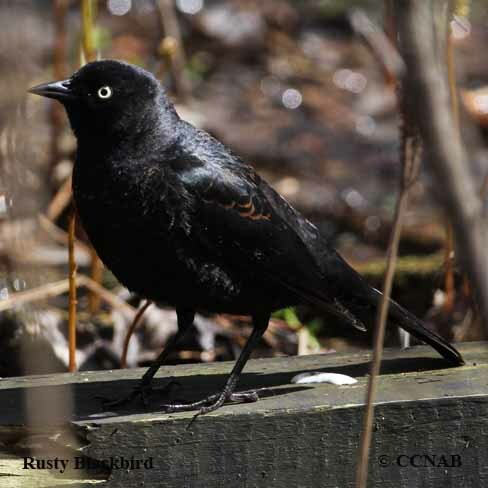 Over the recent years these blackbirds have shown a steep decline in their numbers. 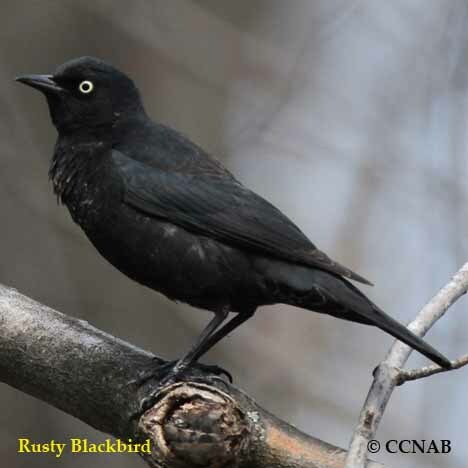 These are shy bird species, and not a typical blackbird one sees around people or birdfeeders, unlike other blackbird types. 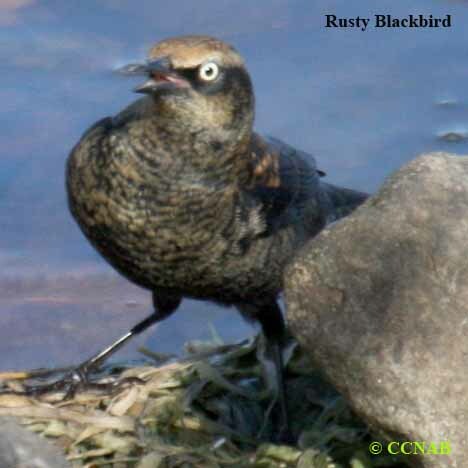 These birds have a dark plumage in breeding season and a rust coloured plumage in the non-breeding season.